Plus Fravel on the Vietnam-China clash and the Tiananmen Incident anniversary. Friday China links. While everyone is talking about the “Chinese Dream,” it can be difficult to pin down exactly what that means. The Wall Street Journal has taken data from a survey of Chinese and Americans to create four charts comparing the national “dreams” of those two countries. 70 percent of Chinese say that achieving the “China Dream” is important to them personally — with ever higher percentages among younger age groups. By comparison, 65 percent of Americans saying achieving the “American Dream” is important to them, with consistent responses across all age groups except the over-50 demographic group. In terms of actually realizing those dreams, both Americans and Chinese see personal effort as the most important factor. But there’s a sharp disagreement on factor number two: 60 percent of Chinese emphasized the importance of interpersonal relationships, compared to only 29 percent of Americans. Meanwhile, 44 percent of Americans said courage was important, something only 13 percent of Chinese agreed with. However, both Chinese and Americans agreed that a good luck plays a role, with a little less than half of respondents in both countries picking this as an important factor in achieving their dreams. In other news, the world continues to watch the ongoing clash between Vietnam and China in the South China Sea. The New York Times’ Sinosphere blog posted a timely Q&A with M. Taylor Fravel of MIT addressing the most pressing questions. Fravel analyzes China’s motivations (political, not economic), the chances of escalations (“the risk of escalation is real”), the role the U.S. is (and should be) playing, and the legal arguments both China and Vietnam are using to back their claims. Fravel also notes that China’s placement of the oil rig “can only harden the perception among other states with claims in the South China Sea that China harbors aggressive intentions and preference for unilateral action.” He expects this to motivate other claimants to build up their own naval capabilities so as to defense their claims. As Ankit wrote yesterday for The Diplomat’s Flashpoint blog, high-level tensions could force the South China Sea issue onto the agenda at this weekend’s ASEAN Summit. Finally, the 25th anniversary of the Tiananmen Crackdown is rapidly drawing near. 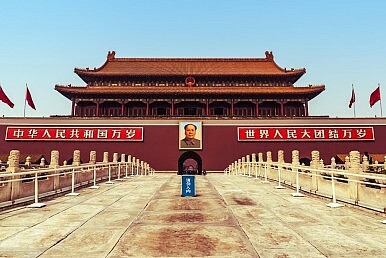 In honor of the anniversary, China Digital Times has been posting excerpts from original news stories from 1989, so readers can ‘relive’ the events of the spring and summer of 1989 as they unfolded. From this week’s postings, entitled “VOA [Voice of America] Has Won the Ear of China” and “Beijing Spring,” it’s easy to see the optimism in the foreign press that China’s protestors would succeed. Beijing is remembering Tiananmen in its own way, with a crackdown. Journalist Gao Yu, 70, was the latest victim, as she was arrested for leaking state secrets to a foreign news outlet. Chinese state media did not specifically say which document Gao was accused of leaking, but it is suspected to be “Document 9” (translated here by ChinaFile) a party circular that warned officials to be on guard against seven “false ideological trends”: promoting Western constitutional democracy, universal values, civil society, neoliberalism, and freedom of the press, plus calling for a reassessment of China’s recent history and the place of socialism in modern China.